If you need to return your keys out of hours, simply deposit them in the relevant hire company drop box at the Car Rental Centre. Car rental opening hours can be found on the provider websites listed above. The dedicated Car Rental Centre can be found by following the road signs from Whitehouse Lane. 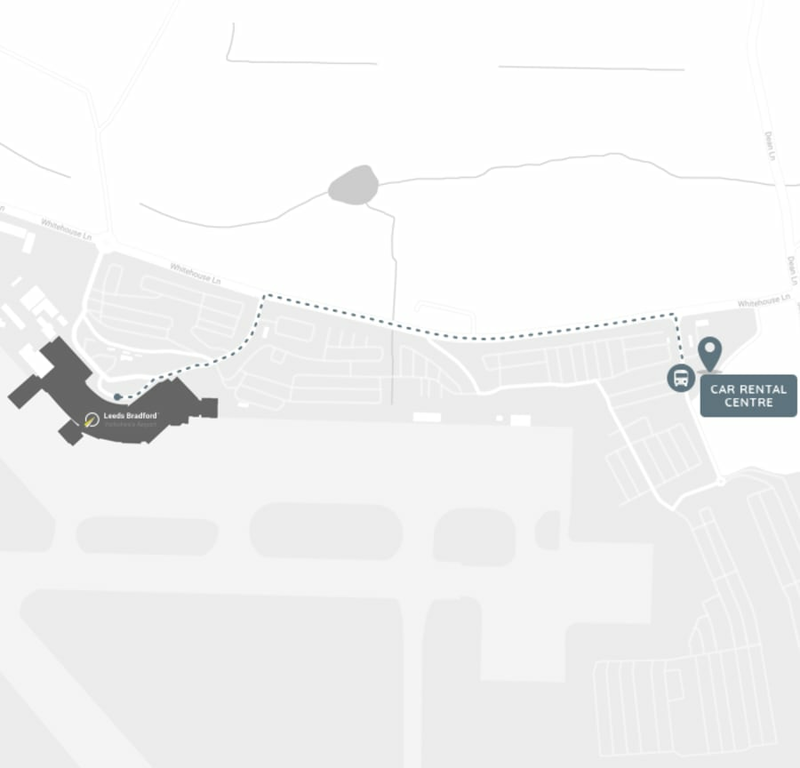 The free 24/7 shuttle bus takes 4-5 minutes, board at the bus stops located on the terminal front by the entrance or on the access road adjacent to the Car Rental Centre. Please let the bus driver know if you would like to stop for car hire.